Building houses, cooking food, and washing clothes will always support individuals and companies who go about it in a smart, strategic way. Generally speaking, it makes sense to build a business around basic human needs that won't disappear or fall out of fashion. That's why building houses, cooking food, and washing clothes will always support individuals and companies who go about it in a smart, strategic way. Opening a laundromat is not a guaranteed path to riches, however. In fact, the industry has been in decline for most of the last five years and it's forecast to continue to decline for the next five years as well. This doesn't mean that buying an existing laundromat or opening a brand new location can't possibly succeed. Rather, it means that serious research and planning are even more crucial in this industry than in other industries that are currently enjoying significant growth. Successful laundromats (by which we're referring to self-serve coin laundry establishments, not including full-serve dry cleaning and other boutique facilities) generally thrive in neighborhoods where a large portion of the population are tenants renting apartments, condominiums or dorms where they do not have access to free or private laundry equipment. The main reason for the industry decline in recent years is the widespread national movement toward home ownership due to aggressive lending rates and low home costs. Most individuals who purchase their own home will have a washer and dryer installed in the home and will have no need for an outside laundromat. That being said, however, there are still many locations in the United States where currently successful laundromats are for sale or where the local demographics could easily support a new laundromat. This especially includes densely populated urban areas, college towns, and neighborhoods with recently populated apartment complexes or condos. 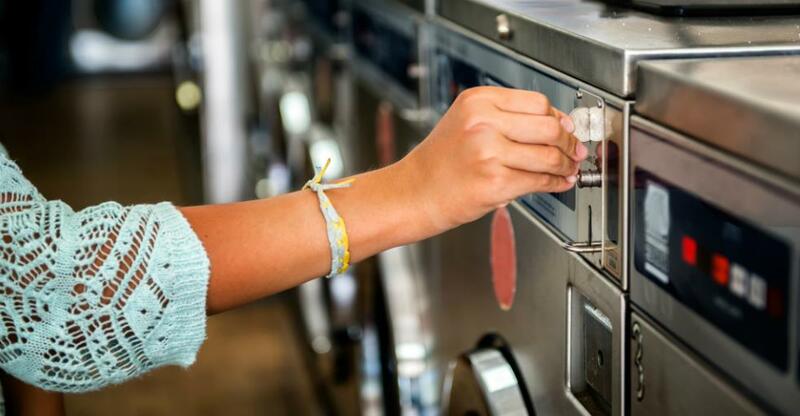 Another option that has become increasingly popular among entrepreneurs and customers alike is to install and maintain coin-operated laundry equipment in apartment buildings, college facilities, and community buildings where tenants come together. This option provides convenient access to tenants who may otherwise spread their business among competing laundromats, and removes an item from the maintenance list of property managers while providing them with an additional income stream since the space for the machines is leased. Obviously, these two business models differ dramatically in their startup costs. The purchase of a fully-functioning successful laundromat can require a significant outlay of capital in the hundreds of thousands of dollars. Building a brand new facility can be even more costly. Leasing an existing space will usually require less upfront cost, but most owners will want some sort of guarantee of your ability to meet lease payments for a minimum number of months without counting on income from the business, so financing is still a serious consideration. Purchasing and maintaining washers and dryers on private premises, on the other hand, can be fairly inexpensive – in the thousands – and can be started slowly as finances allow. Either way, however, there are likely to be some upfront costs that go beyond the purchase or lease price of the property and the machines. Since a busy laundromat will require a greater amount of water, gas, and electricity than many other commercial endeavors, there are usually state and local environmental, zoning, and business permits required that may go beyond the standard commercial location's requirements. While the day-to-day running of a self-serve laundromat shouldn't require a large workforce – most laundromats only employ 1-4 people – you will want to plan to have the facility adequately staffed for at least 10-12 hours each day. Since customers will be coming to do their laundry at times when they are not at work or otherwise busy, your busiest hours will be outside the standard 8:00-5:00 business day. Security is an important consideration, especially if your laundromat will be open late into the night or overnight. It's important that your customers and employees feel safe and secure in the facility if they're going to keep coming back. You're also going to need to be prepared to quickly respond to technical problems with the machines. Unless you have a trained professional on staff (which rarely makes sense for any but the largest establishments) this will probably involve having one or more maintenance professionals under contract to respond to breakdowns quickly and efficiently so your consumers are inconvenienced as little as possible. This is especially important if operating private facilities on location where the customers only have one or two sets of machines to choose from. So, while the self-serve laundromat industry has declined somewhat in recent years, a savvy entrepreneur can still make money and develop an enjoyable career out of helping people clean and dry their clothes quickly, efficiently, comfortably, and securely. Buying a laundromat? Sign up for a BusinessesForSale.com account to receive priority listings, as well as the latest kennel advice and features directly to your inbox!